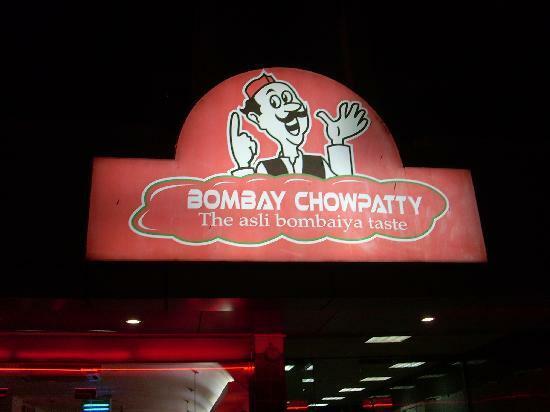 Usually people will find typical Indian restaurants in the area of Al Karama, Dubai, which serves regular dishes of the region but if you are looking to have a quick bite, then head towards Bombay Chowpatty. As, this eating place serves Indian fast food like pav bhaji, dosa etc. Other than this, lot of tandoori delicacies are also on its menu. On top of it, foodies in Dubai can savour the delectable dishes of this restaurant at extremely cheap rates. Due to this reason, Bombay Chowpatty has already seized a decent base of clients and more people are alluring towards it. Indian and vegetarian food is served at this bistro and their specialties include pav bhaji, dahi batata puri, dosa, tandoori chicken and dal tadka. Apart from these delicacies you will also find numerous other regional cuisines of India at this spot, which comes at very reasonable price. Various desserts are also available at this eating place, which most people prefer to consume after enjoying the main course dishs. Folks in Dubai can also take away the scrumptious dishes of this restaurant along with them, as the restaurant offers carry out service too. The operational hours of this eatery from Saturday to Wednesday are 8:30 am to 11:30 pm, whereas on Thursday and Friday it remains open from 8:30 am to 12:30 am. Trade Centre Road, Karama - Dubai - United Arab Emirates. Al Karama Metro Station 1 is 12 minutes walk from the Bombay Chowpatty restaurant, as the distance between these two spots is close to 950 metres. Commuters need to head in the northeast course on Sheikh Khalifa Bin Zayed Street/D 88 towards Kuwait Road, after getting out of this metro station and then turn right onto Kuwait Road. After that they should turn left onto 6 A Street and later turn left onto 21st Street. Then, continue on 21st Street until it turns slightly right and becomes 2 B Street, where destination is situated. 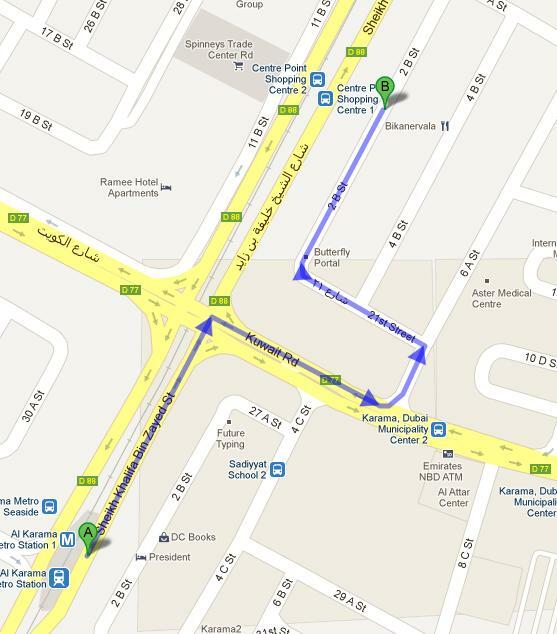 Karama, Dubai Municipality Center 2 – Dubai bus stop is 450 metres away from Bombay Chowpatty. This makes it a walking journey of about 6 minutes and bus numbers 88, 91, C14, C15 and C26 can be used to get to this bus stop. After reaching this bus stop bus user should head west on Kuwait Road, then turn right onto 6 A Street and afterwards turn left onto 21st Street. Continue on 21st Street until it turns slightly right and becomes 2 B Street, where destination is located. Check out map for directions.